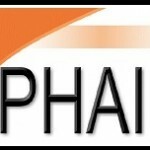 PHAI » Blog Entry » The Weakening of RICO’s Remedies Provision: Analysis of the Appeals Court’s Decision in USA v. Philip Morris USA, Inc., et al. This white paper analyzes the equitable remedies provision of the Racketeer Influenced and Corrupt Organizations Act (“RICO”) as it was interpreted by both the trial and appeals courts in the Department of Justice’s civil RICO case against the major United States cigarette manufacturers. It demonstrates how the appeals court’s decision, which bound the trial court, severely affected the remedies that could be ordered in that case — despite the judge’s conclusion that the defendants are racketeers. It argues that RICO’s equitable remedies provision needs to be clarified and strengthened so that it can be used most effectively to promote public health. Posted in Publications, Tobacco | Comments Off on The Weakening of RICO’s Remedies Provision: Analysis of the Appeals Court’s Decision in USA v. Philip Morris USA, Inc., et al.